With Disney's purchase of Lucasfilm already changing Star Wars, let's look at the prior behind the scene changes in the saga. In the last quarter of 2012 America and, in fact, the world, was gripped by the enthralling news of a major decision that will impact and affect virtually all of mankind. Would power change hands or would the popular progress and newsworthy missteps around one man and his administration continue? What would the future be for us all after this important choice? Billions and billions of dollars were at stake and the world was on the edge of its seat, so to speak. No, I'm not talking about the 2012 Presidential Elections, people. I'm talking about Star Wars. The one man in this case is George Lucas. The decision was whether or not to sell the company he had administered and presided over since inception, Lucasfilm, Ltd. (including, and especially, Star Wars) to the Walt Disney Company. The news is that the power did change hands and after $4.05 billion was paid out (all of which, quoth uncle George, was donated to charity). Lucasfilm, Ltd. is now a wholly owned subsidiary of the House of Mouse. Disney's first announcement? The start of pre-production on the decades denied Star Wars: Episode VII (which, in theory, might have to surround an inter-galactic retirement home). While this is probably the biggest news to hit the Star Wars universe since “I am your Father!” and “Luke, you kissed your sister, dude!” this isn't the first time that firm, carved-in-stone and codified Star Wars plans have changed on a daktari. In August of 2012, we brought you the thrilling and planet smashing article, Abandoned 'Star Wars' Plot Points, Episode I: The Ties That Surround Us, Bind Us and Penetrate Us! Now, to celebrate the new and ever changing future of “A Long Time Ago in a Galaxy Far, Far Away” here are some actual plans for Star Wars that affected the plot in front of and behind the camera that might, much like the Death Star, blow many of us away! 1. Star Wars was once planned as a continuing movie series with no real beginning, middle and end. This, of course, caused fans worldwide to scream out “Wait, WHAT?” Wasn't this the same man who said Star Wars finished on the big screen with Episode III? Isn't this the man who maintained an almost unprecedented creative control over his universe, expanded and otherwise? Isn't this the same Lucas who would never give up his creation? The answer is... it depends on which Lucas he was when he said it... and perhaps what decade each unequivocal statement was made. Lucas told The Huffington Post in January, 2012 “Why would I make any more?” He also repeated his famous denial of the proverbial Sequel Trilogy in a 2005 interview with MTV, saying “This was never planned as a nine-episode work," and that "The media (pounced when) I made an offhand comment”. Offhand, perhaps, and though it may be true that 9 Episodes weren't “planned”, an open-ended and even unlimited saga of episodes (similar to the James Bond franchise) was what he was hoping for, directed by a series of other directors, with the Star Wars creator only returning to finish the last film. Lucas' comments in October 2012 may have been directly divergent from what he had said over the past decade or so, they are strikingly familiar to what he told Rolling Stone in August of 1977, only 12 weeks after the release of Star Wars (which was, at that time, not known as Episode IV nor was there even any firm plan for any Episode V yet). In the Rolling Stone article, Lucas elaborates on Star Wars' ongoing, serial nature, actually claiming to have cited the James Bond series in his original (and ultimately rejected) Star Wars pitch to Universal Studios. Admittedly, Uncle George's more recent press release didn't mention anything like “What I want to do is direct the last sequel.”, as he told Rolling Stone 35 years prior. However, with as many Clones as Lucas (now 68 years old) has running around every level of his now-gargantuan saga, who knows? We might see a young Lucas return to finish the franchise, after all. 2. Star Wars II was to be an ultra low-budget sequel with re-used props and minimal sets. It's hard to imagine a world (regardless of galaxy) in which Star Wars wasn't already a pop-culture touchstone, for better or for worse. Much like The Beatles had trouble initially getting a record deal, Lucas had his fair share of trouble getting any studio to agree to produce Star Wars. United Artists (distributor of the James Bond films) rejected the idea at the same time they passed on American Graffiti. Universal Studios agreed to make the first Star Wars only as a two-picture deal to ensure that they got Lucas' vastly different American Graffiti. Universal later backed out, paving the way for 20th Century Fox (who had found success making the Sci-Fi Planet of the Apes films) to take over. Still, Lucas' projection for the film's successes, even with Fox's backing was that it would make around $16 million in its entire theatrical run, topping, he hoped, the $10 million he had projected for American Graffiti's ultimate haul. American Graffiti went on to make $140,000,000 in its theatrical run and in its first eight weeks of release, the first Star Wars film had already brought in $54 million (with its overall earnings topping $775 million). Before that happened, Lucas' underestimation of success led him to plan a low-budget sequel based on his random notes about “The Adventures of Luke Skywalker”, well below the scale and scope of The Empire Strikes Back. 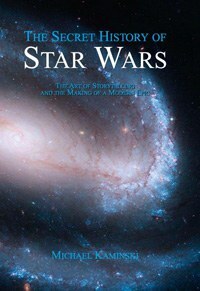 The original Star Wars novel adapted from the screenplay (though credited to George Lucas as the author) was actually ghostwritten by Alan Dean Foster whose contract required a second novel that was to be used as the basis for the second, super low budget Star Wars movie. The first film's budget had escalated from the planned $8 million to $11 million, mainly due to the need for finished special effects (in, for example, the many outer space dogfights from that film). Since Lucas was certain that Star Wars was not going to make it, he cut corners everywhere he could with the proposed sequel he hoped to make. Foster's resulting work was set on a misty forest planet (for the express purpose of saving money on sets) and was (at Lucas' instruction) filled with re-used props and ships from the first movie, instead of new ones. This cost-cutting measure was only surpassed by Lucas' insistence on the removal of an outer space dogfight that would strand Luke and Leia on the planet, as this would be far too expensive and would require too many special effects for cynical Lucas to film. By the time the novel was ready, however, Star Wars had already topped every box-office in the world and made that “ballooning” $11 million budget look like so much Imperial chicken feed. 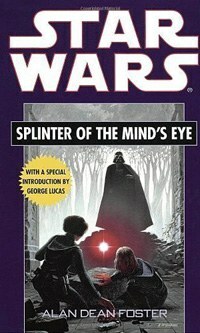 The novel, now entitled Splinter of the Mind's Eye hit stores with a bang in March 1978, when Star Wars was already a Force to be reckoned with and the planned movie version was completely scrapped. What did we get instead? Fans were given a different low-budget sequel that reused props and ships in the form of CBS TV's ill-received The Star Wars Holiday Special (which was largely set on a misty forest planet) in November of 1978. Then, in May of 1980, the first real sequel to Star Wars, entitled The Empire Strikes Back was released with a budget that almost tripled the first film's and almost unanimous praise as one of the greatest films ever made. While Foster's novel is still in print and is still being enjoyed and read, I think that we could all use the type of “failure” that leads to a film like The Empire Strikes Back. 3. Star Wars was to contain four trilogies for a total of twelve episodes! So, true believers, we've got the statement by Lucas that he's going to be passing off the series to other directors with the second film to see what they come up with and he's only going to return for the fabled final episode after an unlimited number of Star Wars sequels invade Rebel Movie Theaters at 24 frames per second. We also know the first film was an incredible success, so the low-budget sequel was released (only) as a book and we're on to bigger and better things like The Empire Strikes Back right? And according to GLucas five days after Splinter of the Mind's Eye's release, we were moving on to no more or less than eleven bigger and better things in the Star Wars Galaxy. In the March 1978 issue of Time, Lucas gave a few updates and hints to the future. 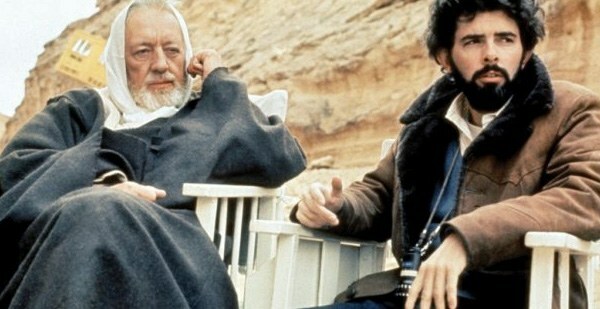 During this time, Lucas was helping his buddy Francis Ford Coppola edit Apocalypse Now, Alec Guinness had just gotten an Academy Award nomination for his portrayal of Obi-Wan Kenobi and Star Wars had just become “the biggest grosser in film history” with an additional couple hundred million bucks flooding in from Lucas' brilliant marketing tie-ins. Keep in mind, this is all in 1978 dollars, which could cause a Roger Rabbit-like eye-popping reaction when seen in print. So what was next for the author of The Force? He was starting a series of companies to control his now lucrative interests with one in particular handling Star Wars and its set number of sequels. According to Time “Star Wars Corp. will make Star Wars II and the ten, count 'em, ten other planned sequels”. Twelve films in four Star Wars trilogies including Prequels, and Sequels? Now that's a promise that fans could get behind... a focused, controlled story, instead of an unlimited, sprawling saga that could tell four distinct eras of the history of the Ragtag Republic, the Evil Empire and beyond. StarWars.com relates actor Mark Hamill's confirmation of these plans for “Twelve movies!” with the final appearance of his own Luke Skywalker coming about in “Episode IX”, which he says Lucas predicted for a 2011 release. While Lucas' post-Return of the Jedi burnout caused him to tell Time in May 1982, “the book is finished, and I have put it on the shelf.” and to state on the set of that film that “'I'm not having fun... The next trilogy will be all someone else's vision.”, Lucas' previous prediction did come true. Filming of Star Wars Episode I: The Phantom Menace (directed, as was all of the Prequel Trilogy, by Lucas) started filming on June 26, 1997 right around 19 years after that 20 year claim. 4. Certain Star Wars Episodes were rumored to be directed by Steven Spielberg and, perhaps, Francis Ford Coppola. In October of 2009, right around three years prior to the Disney purchase and announcement of the new Star Wars Episode VII, a rumor floated around the internet that a new Star Wars trilogy was to be directed by Steven Spielberg and Francis Ford Coppola. Their names have begun floating around anew with the confirmation of the “Sequel Trilogy”, so the concept has come up again. However, this was far from the first time that these two wildly successful directors (and extremely close friends of Lucas) have been mentioned as potential Star Wars directors. Although this has more often landed on Spielberg than Coppola. Spielberg and Coppola (along with Brian De Palma) were shown the rough cut of the first Star Wars film, which may have fueled some of these rumors. The 2004 documentary Empire of Dreams even revealed that Spielberg had been Lucas' first choice to direct Return of the Jedi, but Spielberg had to refuse due to complications with the Director's Guild. The director's chair eventually went to Richard Marquand after discussions with David Lynch and David Cronenberg. In June of 1997 The Empire Strikes Back director Irvin Kershner told Entertainment Weekly “George told me that he believes Spielberg is going to do [part 2]” because Lucas was (then) adamant that he wouldn't do the last two prequels. In spite of this, a July 2002 BBC article quoted Spielberg as having requested the director's chair for at least one of the prequels. “I've asked him. He won't let me do one... he didn't want me to do it. I understand why - Star Wars is George's baby.” While Coppola has been less talkative about the possibility of helming a Star Wars film, Spielberg did eventually get his wish... sort of... having been given the chance to direct certain scenes from Star Wars Episode III: Revenge of the Sith (credited as “assistant director: action scenes”). The Sequel Trilogy, due for a 2015 kick-off might finally answer the rumors (and desires) for one or both of these men to enter into “negotiations with a lightsaber”. As for the Prequel Trilogy, Spielberg's action-packed contributions are as close as he's come so far. The Francis Ford Coppola rumor may also yet come true (and I, for one, would love to see an angry Robert Duvall screaming “Chewie Don't Surf!”). However, the rumors of his once-possible involvement in the Prequel Trilogy may be as hard to nail down as the rumor that Alec Guinness was cast to narrate the Prequel Trilogy. That one is about as easy to track down as Bigfoot is to sight. 5. Forget all the “Star Wars” episodes. What Lucas really wanted to do was adapt the Flash Gordon serials into feature films! No “what almost happened to Star Wars” article could possibly be considered complete without an exploration of the origins and tributaries that helped make this collective saga the Force that it is. Any half-assed Google search will uncover resounding argument that Star Wars is actually a collection of ripped-off elements from other works. “Rip Off” is unfair. Like most great works, the worst you can pin on Lucas is a case for Star Wars' recombinant DNA. Symphonies from Beethoven and Mozart, though different, both still use variations on notes A – G.
Again, it's as strange to imagine a world in which Star Wars wasn't a profitable pop culture benchmark as it is to picture Luke and Vader settling this whole “side of the Force” argument with Dueling Banjos instead of Dueling Light Sabers. It's interesting to note that, while today Star Wars carries a $4.05 Billion price tag, it was actually created as an alternative to Lucas' first choice for a swashbuckling action saga. Unfortunately (and ironically) for him, the reason he had to “settle” for making Star Wars was that the first choice, Universal Studios' Flash Gordon serials, carried too high a price tag. Decades later, after his first science fiction film THX 1138 was already in the can and on screens, Lucas pushed towards buying the rights and making his own Flash Gordon a reality. J.W. 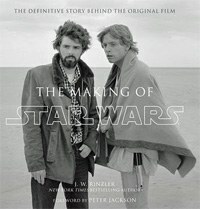 Rinzler's book, The Making of Star Wars details Lucas' memory of events. “I tried to buy the rights to Flash Gordon” in May of 1971. While on a trip to New York with Francis Ford Coppola to help secure funding for American Graffiti from United Artists, Lucas took a side trip to King Features Syndicate (publisher of the Flash Gordon comic strip and owner of the rights to the character) but he was unsuccessful in the negotiations. “They said they wanted Federico Fellini to direct it, and they wanted 80 percent of the gross, so I said forget it. I could never make any kind of studio deal with that.”, Lucas recalled. As recounted by Coppola himself to BBC Omnibus' “A Long Time Ago: The Story of Star Wars” (1999), “[George] was very depressed because he had just come back and they wouldn’t sell him Flash Gordon. And he says, ‘Well, I’ll just invent my own.’” Only after that “failure”, it's no coincidence that the title “The Star Wars” was registered by United Artists on August 1st of 1971. Although the United Artists deal did eventually fall through (owing, in part, to the financial non-event that was THX 1138's initial run), and the subsequent Universal deal met a similar fate, Lucas' re-invented Flash Gordon series, Star Wars found its home, historical impact and vast financial success after the deal with 20th Century Fox. Ultimately the Star Wars audiences came to know in 1977 took its inspiration from a great many of Lucas' influences, above and beyond Flash Gordon. Akira Kurosawa's The Hidden Fortress (1958) and Dersu Uzala: The Hunter (1975) both provided major thematic, visual and even dialogue and blocking inspiration. Frank Herbert's Dune novels are a clear inspiration to the Tatooine scenes (right on down to the giant worm skeleton and offhand mentions of “spice”) while the strafing runs on the Death Star bear a striking resemblance to a similar sequence in 1954's The Dam Busters. The list goes on, of course, but the impact of both Flash Gordon (1936) and its serial sequel Flash Gordon Conquers the Universe (1940) is written all over Star Wars. The famous, angled “opening crawl” of all of the Star Wars films took direct inspiration from the angled “opening crawl” of the Flash Gordon serials, right on down to the “ALL CAPS” mentions of “FLASH GORDON” and “DEATH STAR”. Both sagas feature bands of rebels led by a swashbuckling hero as they battle against an evil Emperor. Both sagas feature a “Cloud City”. Both sagas feature two rebel heroes (Luke/ Flash and Han/ Barin) disguised in enemy uniforms to storm a fortress (The Death Star/ Ming's castle) and rescue a princess (Leia/ Aura). Both sagas feature a strong, furry trusted best friend of the heroes (Chewbacca/ Thun). Ray Guns, outer space dogfights and similar derring do are all common to both series. Ironically, Flash Gordon was brought to the big screen again in 1980 by producer Dino De Laurentiis during the wave of fun science fiction films that were made to cash in on the success of Star Wars. It wasn't directed by the famed Federico Fellini, but by Morons from Outer Space director Mike Hodges. While Flash Gordon (1980) did pull in a lifetime box office of over $27 Million, Star Wars (1977) still stands at over $775 million. Not bad for a “fallback” movie and Lucas' second choice. I wonder if the King Features Syndicate gang has ever stopped kicking themselves over that one. There's always that Bigfoot idea waiting for them. So there you have it: five amazing behind-the-scenes facts from the ever-expanding Star Wars Saga, that might have been had they not been abandoned by Emperor Lucas. Is it possible that these in-universe abandoned canonical ideas might mix with actual real world, behind-the-scenes rumors and legends and we're finally able to prove that Bigfoot is, in fact, a Wookiee (which would, let's face it, be incredibly awesome)? I wonder if Bigfoot might run for President in 2016. Chewbacca would make a mighty fine running mate. May the Force be with them both.